Elvis, in 1968, was enduring numerous "life changing" events in his life. First he was married May 1, 1967 to (the then, now, and forever beautiful) Priscilla (who had came to America/Graceland to live in December of 1962) . Secondly, his only daughter (Lisa Marie) was born exactly (9) nine months after the wedding on February 1, 1968. Thirdly, the "era of the Beatles", along with several other major acts, were coming to an abrupt end (by monopolizing the charts has they had beginning in 1963). The "68 Special" is also referred to as the "Comeback Special" or "Elvis Comeback" or "68 Comeback". Interestingly, the actual name of this (what was to be the "highest rated show of all 1968" ") event was actually entitled "Elvis". "Elvis", the Singer Special, began taping in June of 1968 and was aired on December 3, 1968 on NBC-TV (note: in 1968 there were three major television stations ABC, NBC, CBS and they captured 99.9% of the American viewing audience). Elvis had "overcome the World" musically/recording artist/live performances (concerts and TV) beginning in the 1950's and he created a sound that was "pure, full, fun, and his own". Elvis, pure and simple, was THE Rock and Roll King. Yet, the King had not been onstage before a "live crowd" in over 7 years. His music, limited to the quality of the movies he was working on, were not "up to par" but since Elvis had "signed" to do the movies he was very limited in having "songs of quality" consistently into his movies. 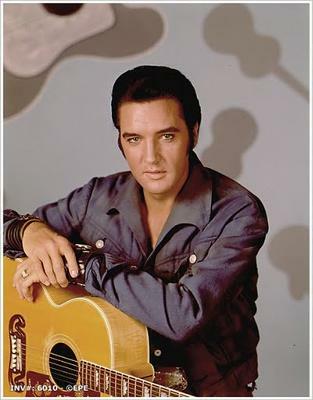 Many times, over many years Elvis voiced his concern about the songs he had to sing on the movies and that he was not being challenged as an actor or as a singer (note: Elvis’ early works being Love Me Tender to GI Blue were good. Then you have a great storyline of "Viva Las Vegas" with Ann Margaret and their chemistry was obvious to everyone and fans everywhere enjoyed this movie. After "Viva Las Vegas" there would be "one or two" songs, in all of the movies that he did after "Viva Las Vegas" that Elvis found "acceptable". Every other song either made him laugh, or angry, but Elvis was the ultimate professional and finished each movie having given his very best efforts). The previous decade had not been "personally satisfying to Elvis" and he suffered greatly when he learned late in 1958 that he was drafted. While in the Army Elvis received permission to visit his Mother in Memphis who was sick and in the Hospital. Elvis took the next flight out, which he stayed awake the entire trip praying and thinking about his beloved mother, and arrived at the Hospital and directly went into her room (Gladys) who was weak, complaining about her health, and yet "lit up" holding her only Childs hand. They loved each other so much and it was one of the worst tragedies for Elvis as just a few days later, his mother passed away in August of 1958. In 1960 Elvis was honorably discharged from the Army and agreed to do a "live on stage" TV appearance with Frank Sinatra sponsored by Timex (i.e. watch maker whose claim to fame was "takes a licking and keeps on ticking") Other than the "Elvis Returns Frank Sinatra Special", that aired shortly after Elvis' discharge, Elvis did not perform onstage "live" because Elvis agreed to enter into "movie contracts" for 1961 √ 1963 (negotiated by Colonel Parker). These "movie contracts" would keep Elvis away from a "live audience" until this "Comeback Special" of 1968. I don’t believe that Elvis knew that these "movie contractual obligations would keep him away from a live audience for 7 years but the movies were successful, Elvis made a lot of money, Elvis was able to have some of his friends (Memphis Mafia) get bit parts/roles in his movies, and Elvis got into a "pattern" that revolved around the "movie shots" for the day and then Elvis and the boys playing in between shots and jamming/singing after the days work was over. The money Elvis made off of these monies was SIGNIFICANT and allowed him to travel, purchase nice cars, pay his employees, and it gave him a sense of "routine" which is nice to have when you are raising a young child (as Elvis and Priscilla were doing). Colonel Parker initially began negotiations with NBC in 1967 (October) and it was considered that Elvis would do a "Christmas movie" along with a Christmas Special for the 1968 Christmas Season. On January 12, 1968 Colonel Parker and Tom Sarnoff (NBC Vice President) announced that Elvis' first television appearance in more than eight years would be a Christmas special for which NBC. Elvis would receive $250,000 for the "live special" and he would receive an additional $850,000 to produce an Elvis movie and an additional $25,000 for the film's music. Out of this agreement came the (critically acclaimed/reviewed) movie entitled "Change of Habit" which co-started Mary Tyler Moore. It was also agreed that the "executive producer" would be Bob Finkel who had (recent) variety success and was nominated for an Emmy in 1965, 1966 and 1967, He, deservingly so, won the Emmy for 1966 and 1967. It was Bob Finkel who was instrumental in enabling Colonel Parker to see the "light" in allowing Elvis to perform live and not do an "ordinary safe Christmas Special". However, Colonel Parker had the contract stipulate that the "closing number" would, in fact, be a Christmas Song! Instead of a "tame" Christmas Special, as other "artists" were doing in the 1960's (i.e. Bing Crosby, Andy Williams, and others) Elvis agreed, with great assistance from Steve Binder who opened Elvis’ eyes to doing a real live concern that would showcase Elvis’ musical abilities and his awesome stage antics. Elvis was asked to "put it all on the line" and get back to basics which meant (a) not being safe (b) going against Colonel Parker and (c) possibly doing damage to his career. It was NOT an easy choice, at the time, but kudos to Steve Binder for having the forethought to "re-introduce Elvis" to his Fans and to new fans of good music. Colonel Parker was against this idea and was relentless in his desire to have Elvis "sing a few Christmas songs" and they say "Merry Christmas". There was much "give and take" between Colonel Parker, NBC, and the Director and Producer. At some point Elvis, who never "spoke out against Colonel Parker in public", was asked in a room where Colonel Parker was , Elvis was, and Steve Binder was "Elvis, you want to do a Christmas Special don’t ya"? Elvis replied that he wanted to do what he and Steve Binder had discussed which would NOT be a Christmas Special. To Elvis' credit he accepted the feedback from the Producer and realized that his love of "live performing" had been building over the past seven years. When it counted most Elvis stood up to Colonel Parker and said what he wanted. To Colonel Parker’s credit he accepted the decision and made it work. Elvis appeared on a "square stage" along with reuniting his early band members Scotty Moore (Guitar) and DJ Fontana (drums). The stage would have fans surrounding each of the four sides. Many of the "front rows" would be filled by women. Elvis also had Charlie Hodge accompany him who was a singer, performer, Guitar player, and Gospel artist who Elvis had befriended in the Army and who had been working with Elvis since his Army discharge. The format would be "Elvis, more Elvis" a recipe in 1968 that was "unsure" and "unproven" and (in all reality) a "make or break career move" for Elvis.